This photograph is undated but was taken by my late father, Ron Hunnisett and shows a Bedford OY Bowser in a damaged condition. 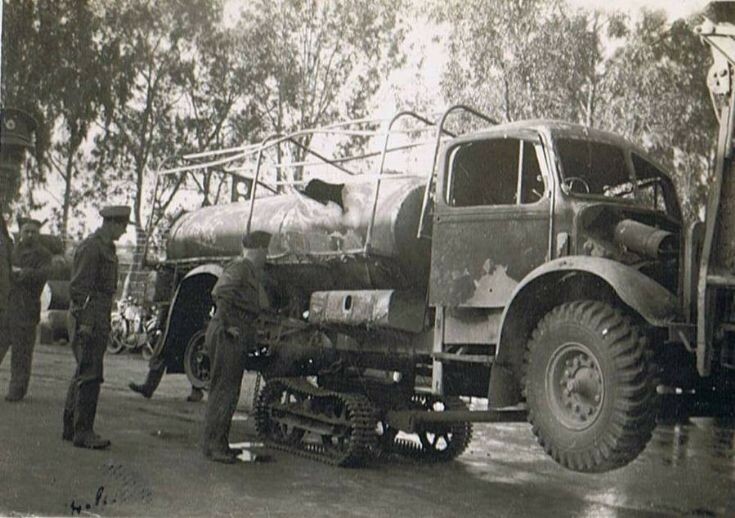 Dad's caption just says "Damaged tanker - Gaza Road" but with no date. He was posted to North Africa in October 1940 and was out there right through until 1944. Added by Roger Greenaway on 14 September 2010.